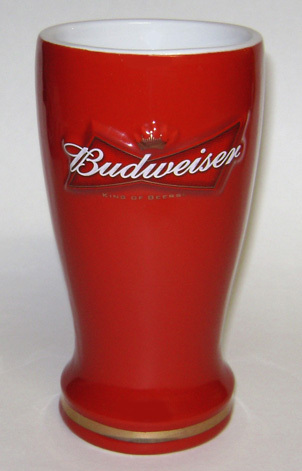 Officially licensed Budweiser ceramic collectible stein. Officially licensed, red ceramic pilsner with raised graphics and gold band. Officially licensed, red ceramic micro mug shot with raised graphics and gold band, above and below the logo. 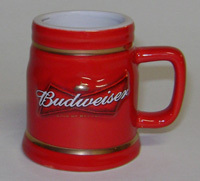 This micro mug features the Budweiser logo on both sides.